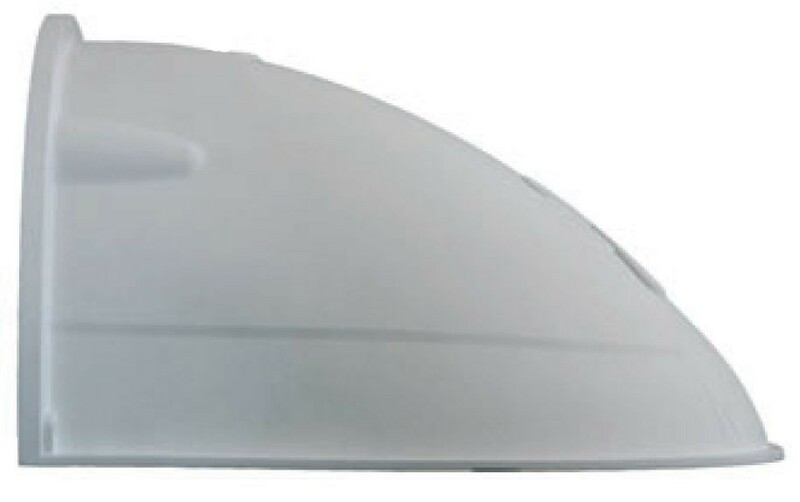 Shock-resistant fiberglass-reinforced plastic (PBT), white Covers RJ45 outlet Ample room inside for extras (WLAN, relay, etc.) 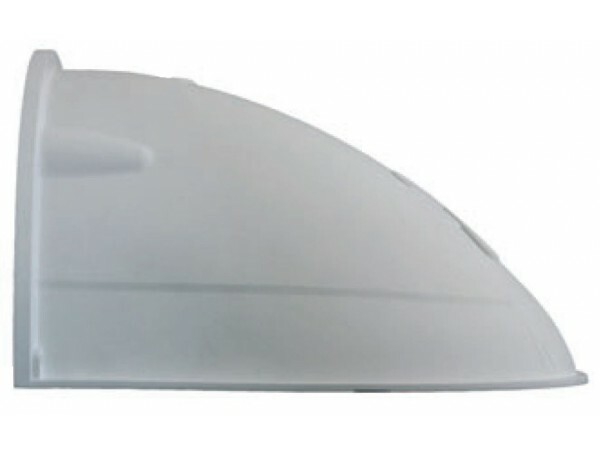 Polyurethane sealing for mounting to wall Includes stainless steel mounting supply, covers and dowels DualDome with outdoor wall mount attains protection class IP 65 instead of IP 54 Mounting the camera to a wall allows covering RJ45 wall outlets (without frame) and also allows using a defined network end point. Ideally, the Outdoor Wall Mount is mounted over the tested wall outlet, which provides the connections (network, ISDN, Power over Ethernet) to the camera.